MILO + A.P.E.X. 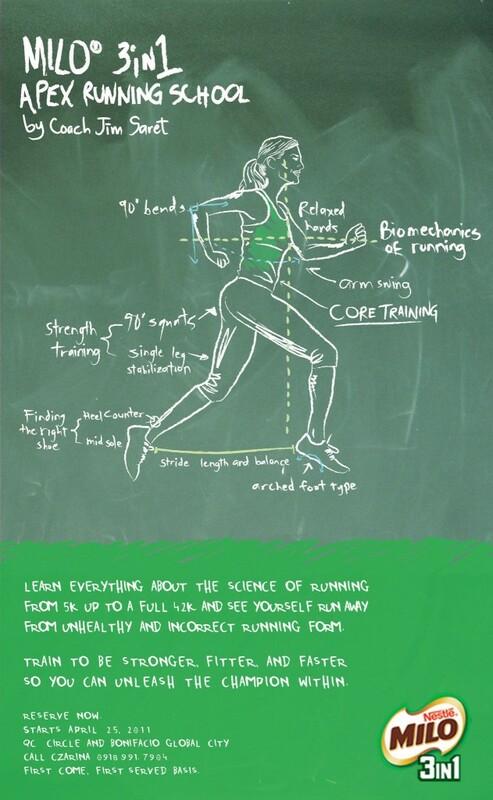 + the Country’s Top Runners and Coaches = A Revolutionary Approach In The Science of Running! We’ll help you become better, faster and smarter runners. We’ll provide an educational and inspirational experience for all runners of all ages, skill levels, and abilities. From first time runners to experienced racers who want to improve their PR — All runners will finish the program with better running knowledge, new friends, and an enhanced love for the sport. Free Milo Running Singlets, Water, Training Manual & more! The $6,000,000 question - Did I sign up?